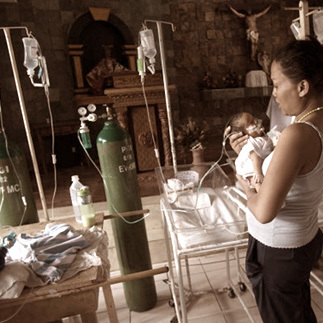 Give Hope, Give Now - HopeNow Philippines Foundation Inc.
A foundation that will help address the lack of immediate medical facilities in the wake of natural disasters. To give hope and to give now. HOW is a sustainable health care delivery system that provides essential health services free of charge to vulnerable populations including calamity victims, senior citizens, disabled persons, women and children. HOW will have a Medical Centre and a satellite model of operation. The Medical Canter is an advanced med-surgical centre, staffed with medical specialists and outfitted with sophisticated medical equipment. The Mobile Units will be all-terrain mobile general medical facility that is equipped to deliver primary and trauma/emergency care in the field. Pilot program target launch in 2016. The Manny O. GK Village in Tugas, Madridejos is one of four Yolanda villages funded by Manny O. The other three villages are located in Alang-Alang (Leyte), Sagbayan (Bohol) and Hernani (Eastern Samar), which are all under construction. MANILA, Philippines–Forty housing units were turned over recently by HopeNow Philippines, the nonprofit arm of the Manny O. Group, to the fisherfolk families who were affected by last year’s Supertyphoon “Yolanda” in the town of Madridejos, Cebu. This new housing settlement for disaster victims, named “Manny O-GK Village,” is part of the Yolanda [Haiyan] Rebuild Program, a joint housing project of HopeNow Philippines and Gawad Kalinga which aims to build 160 houses in four different provinces that were devastated by the recent calamities, HopeNow and Gawad Kalinga said in a press statement. HopeNow Philippines is a charitable foundation of the Manny O. Group formed to pursue the vision of providing hope to every Filipino who has lost hope due to circumstances outside their control. CEBU, Philippines - Kwarenta ka housing units ang gi-turnover sa HopeNow Philippines, usa ka nonprofit arm sa Manny O. Group niadtong Disyembre 3, 2014, sa mga pamilyang nanginabuhi sa dagat diha sa Madridejos nga naapektahan sa bagyong Yolanda sa miaging tuig. Ang maong komunidad gipangalanan og "Manny O. - GK Village," ug kabahin kini sa "Yolanda [Haiyan] Rebuild Program," nga usa ka joint housing project sa HopeNow Philippines ug Gawad Kalinga. Ang tumong nila nga makatukod og 160 ka balay sa upat ka managlaing probinsya nga pulos naigo sa kalamidad. Ang HopeNow Philippines usa ka charitable foundation sa Manny O. Group nga ang puntariya mao ang paghatag og paglaom sa matag nawad-an og paglaom tungod sa mga panghitabo nga di kapugngan. MANILA, Philippines - Call it a modern day miracle. 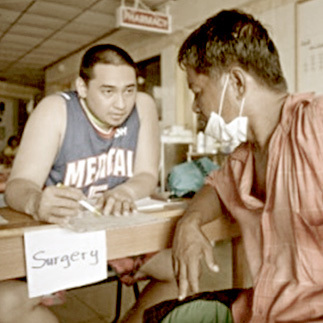 Raising P16.8 million for charity – specifically to support the operations of mobile hospital facilities for disaster victims – is not an easy task. More so if you have to do it in a matter of hours. But Cebu-based hotelier and wine lover Manny Osmeña did just that, at a charity wine auction that he organized at the Mövenpick Hotel Mactan Island recently. “The wine auction is the convergence of two of my passions in life: wine and compassion for disaster victims,” Osmeña recently tells STARweek. “For the last 30 years, I have collected fine wines and created my own wine blends. I have also involved myself regularly in disaster relief,” he adds, stressing that auctioning his own wine creation to fund medical response was his way of building synergy. BULACAN, Philippines – “Why should a rich country like the Philippines stay poor?” asked Gawad Kalinga (GK) founder Tony Meloto at the opening of Social Business Summit 2014, at GK's Enchanted Farm, in Bulacan. The Philippines experienced 7.2% economic growth in 2013, but that has hardly felt by the country’s poor. What are the roles of businesses and community organizations in pushing inclusive growth in the Philippines? This question was tackled in the first session of the Summit, “Starting From The Bottom Up," which focused on bottom up development and how citizens and community groups can end poverty. The summit’s official hashtag is #EndPoverty, and encourages participants to take the conversation on sustainable development and poverty elimination online. In the field of entrepreneurship, having partners who pursue the same objectives is important. It basically extends one’s capabilities and resources as the other partner complements it. Individually, one can achieve something, but together, they can achieve more. It is the synergy that adds more to the equation. For an advocacy like Go Negosyo, our desire to empower the underprivileged sectors has gathered like-minded individuals and corporations who share in our mission to give back and help others in the process. It amplifies our capability to reach out to as many Filipinos as possible. Now, we are on our ninth year of active service to many Filipinos, and we credit the many entrepreneur advocates, angelpreneur-mentors and lecturers, institutions and corporate partners. EXTERIOR view of the artist concept of the Hospital on Wheels Wine aficionado and hotelier Manny Osmeña is cooking up something that deserves a toast. Through Hope Now Philippines Foundation Inc., Manny O is organizing the Bibulus 2007 vintage Charity Auction next month in his Mövenpick Hotel in Mactan Island in Cebu to kick off an ambitious fund-raising campaign to raise US$10million for a fleet of all-terrain vehicles dubbed “Hospitals on Wheels (HOW)” that will be used for affected areas in the event of a calamity. Hope Now Foundation Inc. was formed in the aftermath of Supertyphoon “Yolanda.” After seeing the massive destruction caused by recorded history’s most powerful typhoon and in the events leading up to the World Economic Forum in Metro Manila. MANILA, Philippines - Rappler talked to technopreneur Winston Damarillo and businessman Manny Osmeña. After the World Economic Forum on East Asia (WEF), representatives from various WEF communities gathered in Cebu for the Open Collaboration with East Asia New Champions 2014 (OCEAN14). The summit discussed how the the private sector, government and the academe could collaborate to address issues surrounding the environment in new, innovative ways. The forum also discussed entrepreneurship, social enterprises and how creative talents can be used in the East Asian region. OCEAN 2014 Summit Chairman Winston Damarillo shared insights about mobilizing disaster and social response for social good. Osmeña, a hotel owner and exporter. Cebu hotel owner Manuel Osmeña is counting on a vision of hope for calamity victims through rolling hospitals that can reach people who need them anywhere in the Philippines when a disaster strikes. “I’m a man with big dreams,” he said, at the start of a side conference of the World Economic Forum (WEF) for East Asia held in his establishment, Movenpick Hotel in Mactan, Cebu. His blessing, said Osmeña, is that “I have big friends with bigger hearts”. His proposal to finance and outfit 30 to 40 mobile hospitals has gained the support of some of the country’s biggest investors, including taipan Lucio Tan. For the project, he targets raising US$10 million from donors here and abroad. Osmeña, group chairman of property owner Oikonomos International Resources Corp.
Be in the loop with the latest updates. Copyright © 2014. HopeNow Philippines Foundation. All rights reserved. HopeNow Philippines Foundation is a member of the Manny O. Group of Companies.